Mrs. Filippova deals with registration of national and international trademarks, Industrial design, trademark licensing and litigation. 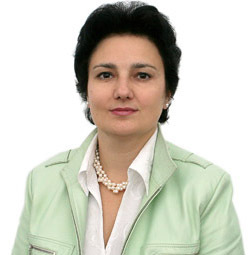 Mrs. Filippova graduated from Bauman Moscow State Technical University with specialization in Engineering in 1988. Mrs. Filippova was certified as patent attorney in 1999. In 2000 she finished post-graduate courses in The Open University in field of management and marketing. In 2001 she also was awarded from Russian Presidential Academy of National Economy and Public Administration as marketing specialist. Since 2007 Mrs. Filippova is a founder of Patent Attorney Firm пїЅVash ZnakпїЅ. In 2011/12 Mrs. Filippova was a lecturer at British Higher School of Art & Design (Moscow, Russian Federation) on Intelectual Property module of Design-Management CDP (Continuing Professional Development) course.